Last week, we looked at the NBA Eastern Conference team breakdown for the top teams in the league, and today, we will look at the top Western Conference teams in the league in the top half of the conference. The west is a very predictable conference this season with the top teams having the ability to do what they need to do on a consistent basis, and many of the teams in the west have been on top for many years in the league, but this year, there could be a small change. Normally, I don’t talk about the teams that I don’t think will be contenders, but the Los Angeles Lakers have to be discussed. With Kobe Bryant out with the ACL injury, Mike Dantoni not having any real power there and 182452323829 year old Steve Nash getting older by the day, the Lakers may actually be out of the playoff race for this upcoming season. But fear not Lakers fans………you will have a ton of money next summer to go and sign some free agents, possibly LeBron James, Carmelo Anthony, or both. So, take the lumps this year, go ahead and chill and convince the Mamba to come back with a loaded roster and bring the celebrities back to Staples Center. The Spurs are going to have the ability to be the top seed in the West again, and will clinch it with no problem. Tim Duncan, Tony Parker and Manu Ginobili are looking at possibly the last year they may be together, and it will be a swan song for this era. 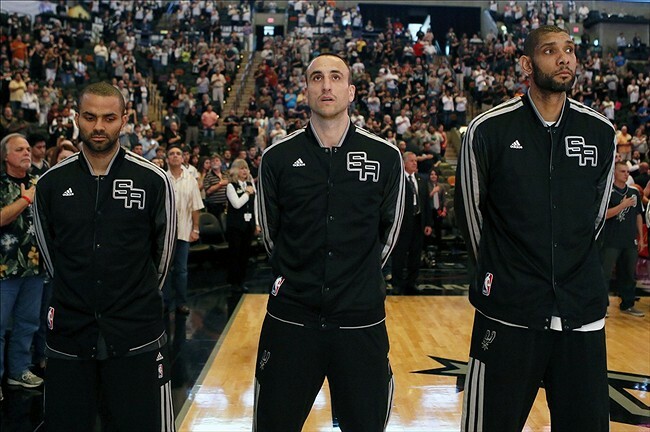 This will be a motivated Spurs team to get back to the NBA Finals and let the “big 3” go out with a championship. Plus with the pieces around them in Matt Bonner, Kawhi Leonard and Danny Green getting better by the game, the Spurs have built an organization to be strong not just for now, but for years to come. This might be a bit of a surprise to have the Rockets rated this high on the list, but the team did bring in this guy……..tall dude, thinks he’s Superman……..ahhhhh Dwight Howard, the most dominant center in the league. Howard gives the Rockets a dominant low post game to compliment James Harden and Jeremy Lin on the perimeter. The move will help Lin in particular, due to him having regressed last season in a way. This will be a year where Lin will bounce back and realize that he has a lot of help around him now. Along with Howard and Harden, the team has sharpshooter Chandler Parsons, whom teams will have to always man-up on and be honest with defending him, leaving an open shooter at all times assuming you are double-teaming Howard and/or Harden. The Warriors are driven by PG and rising star Stephen Curry. This is going to be the Warriors year to take the next steps to becoming an elite basketball team. Head coach Mark Jackson has put together a dynamic, young team that will be in the hunt for years to come, granted they continue to build around sharpshooters Stephen Curry and Klay Thompson. Having a healthy David Lee, Andrew Bogut and a developing Harrison Barnes around, along with the additions of Andre Igoudala and drafting Seth Curry from Duke, the Warriors will have the best offense in the NBA on paper. If the defense can match the high level of where the offense is, as weird as it may sound, but the Warriors could come out of the West and into the NBA Finals, and it wouldn’t be a shocker or an upset, either. The Los Angeles Clippers have been moving up the ranks since the team brought in Blake Griffin and Chris Paul. Now that CP3 is signed long-term, the team can truly be considered a championship contender. The main question will be Griffin, however. Blake has to be able to do more than just be a dunker. We all know he is a walking highlight reel, but highlights don’t win championships alone. Griffin has to develop his defense as well as a mid-range jumper. The team brought in sharpshooter J.J. Reddick to help with that offensive game a bit, but the pressure will be on Paul to make things happen across the board offensively. New coach Doc Rivers will bring in a sense of toughness defensively and in late game situations, but without a set offensive lineup that can be strong late in games, the Clippers will win 50 games and not get past the second round again. This is the end of Part 1 of the NBA Western Conference preview, for any NBA team apparel, visit the DraftKingsMaster store at Sportsfanplayground.com.